Batkivshchyna Party Leader Yulia Tymoshenko says that before the land market in Ukraine is opened, all legislative conditions must be created so that Ukrainian agrarians can freely buy and work the land in order to build a strong Ukrainian economy. “We expect that after the presidential and parliamentary elections we can create conditions for the sale of agricultural land that will work exclusively to the benefit of small and medium-sized agricultural enterprises and farms – those people who live and work on this land. This is the only strategy that should exist in the state,” Yulia Tymoshenko said at the All-Ukrainian Land Forum in Kyiv on April 10. According to the politician, there is a great risk today that the new government after the elections will open the land market in Ukraine without creating the proper legal conditions for domestic farmers. “We have to keep an eye on their hands in the parliament after the change of power. The issue of opening the land market is a key issue that has already been put forward by one of the key presidential candidates,” she said. That is why Yulia Tymoshenko urged Ukrainian agrarians to “quickly organize a system to protect Ukrainian land and agrarians” by joining efforts to oppose attempts to open the land market. “Once the processes begin without the participation of farmers and bills are written not to protect your interests be prepared to protect Ukraine, your business and your families with all possible means,” she said. 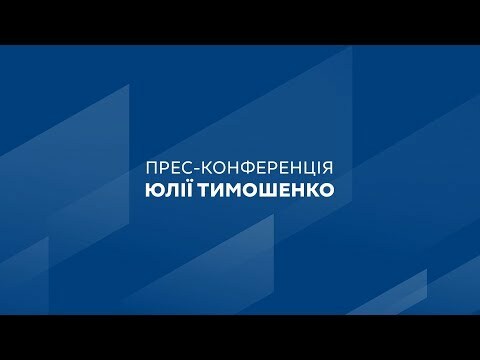 The parliamentarian said that Ukrainian farmers should create a large agrarian lobby in the Verkhovna Rada which “will become a powerful system for protecting the interests of Ukrainian agrarians and will represent the agrarian middle class.” She added that the Batkivshchyna team is ready to join the struggle to defend Ukrainian land. “We will have to unite efforts more than once in order to protect our interests. I and the Batkivshchyna team are your partners and your support. You can count on us,” she said, adding that Batkivshchyna has introduced a number of bills in parliament on the introduction of a single tax per hectare of land and the provision of affordable loans for the development of small and medium-sized agricultural enterprises. She also said that farmers must be able to buy land in installments under the guarantee of insurance funds and that special programs should be created for the protection of the internal market for agricultural products.